Module 2: Mayo Clinic "Did You Know?" How Much do you know about Mayo Clinic? Learn more about Mayo Clinic with 10 quick facts to give you the confidence beyond your own experience to recommend Mayo Clinic. 1. Inspiring hope: The Mayo Clinic Mission is about inspiring hope by providing the best care to every patient. 2. Not-for-profit organization: Mayo Clinic is committed to serving its patients and the entire medical community with the expert care, research and education that only Mayo Clinic can provide. 3. For everyone who needs healing: More than 1.3 million patients come to Mayo Clinic every year from all 50 states and nearly 150 countries. 4. Exactly the care you need: At Mayo Clinic, world-class experts work together to come up with a solution specifically for your needs. It's comprehensive, integrated care for each individual. 5. Experts at diagnosing and treating rare and complicated diseases: Complex care often requires medical experts from more than one specialty. At Mayo Clinic, multidisciplinary teams of specialized experts collaborate to provide comprehensive care for patients with even the most complex conditions. 6. Care revolves around you: At Mayo Clinic, you get a seamless experience. All the resources and specialists you need are under one roof, a detailed itinerary is prepared just for you, and Mayo Clinic experts take the time to listen and respond to all your needs. 7. Advancing science: Investing more than $500 million in research annually, thousands of medical professionals at Mayo Clinic are searching for answers to complex medical problems - all with the goal of bringing new solutions and advanced care to patients throughout the world. 8. 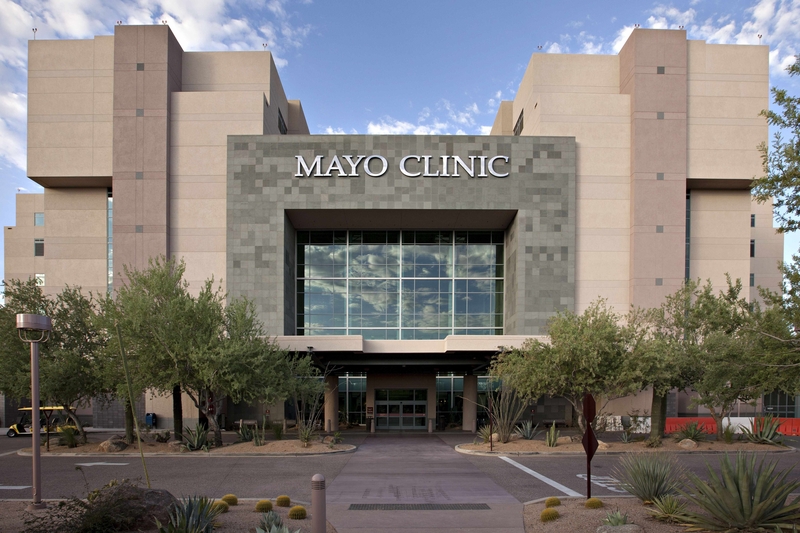 Closer than you think: Mayo Clinic has campuses in Rochester, Minnesota; Phoenix and Scottsdale, Arizona; and Jacksonville, Florida. Also, the Mayo Clinic Health System has more than 70 locations serving communities in Georgia, Iowa, Wisconsin, and Minnesota. 9. Covered by most insurance plans: Mayo Clinic works with hundreds of insurance companies and is an in-network provider for millions of people. 10. Top ranked: In the 2016-2017 U.S. News & World report ranking of top hospitals, Mayo Clinic's campus in Rochester was ranked No. 1 in the nation and No. 1 in more specialties than any other hospital in the nation. Also, Mayo Clinic's Florida campus is ranked No. 1 in Florida. Mayo Clinic's Arizona campus is ranked No. 1 in Arizona. 1) Where are Mayo Clinic’s campuses located? 2) How does Mayo Clinic provide exactly the care you need? It’s comprehensive, integrated care for each individual. 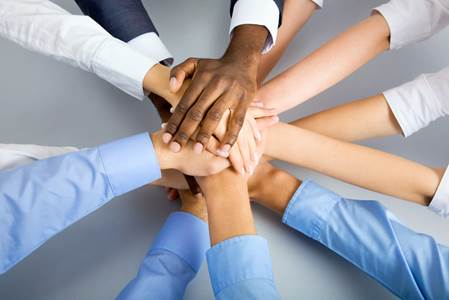 World-class experts work together to come up with a solution specifically for your needs. All the resources and specialists you need are under one roof. 3) How does Mayo Clinic advance science? By supporting science education in schools. Through Mayo Clinic’s top ranking.